I also followed the latest trend to make a popular Korean buttercream flowers cake for my elder sister's 50th Birthday. I didn't attend any buttercream flower class but instead i learnt by myself through many videos shared in Youtube. 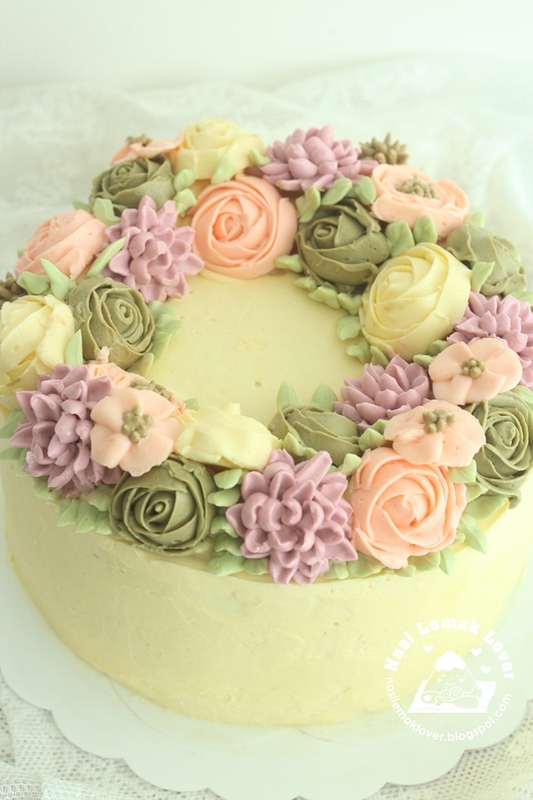 What is Korean buttercream flowers? according to this Chinese website, Korean buttercream flowers are derived from the basic Wilton buttercream flower and re-created by Korean housewives. As most of them have no time to take the time consuming Wilton buttercream courses, hence they just used the basic buttercream flowers technique and improved the colour variations and made changes on the nozzles, and created their own version of buttercream flowers. 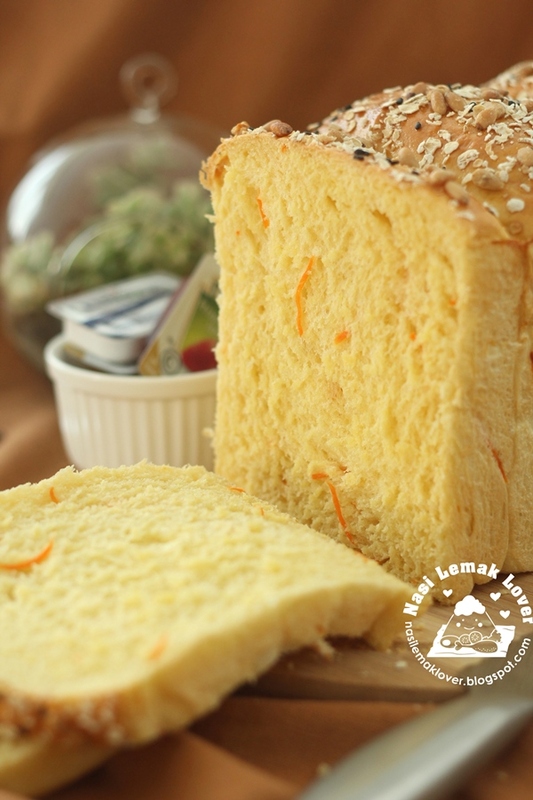 I got this idea of baking this carrot bread loaf after i spotted a similar bread selling at a bakery shop near my place. After made my elder sister's Birthday cake, i have left with many egg yolks as i made a buttercream flowers cake using Swiss Meringue buttercream which use many egg white. 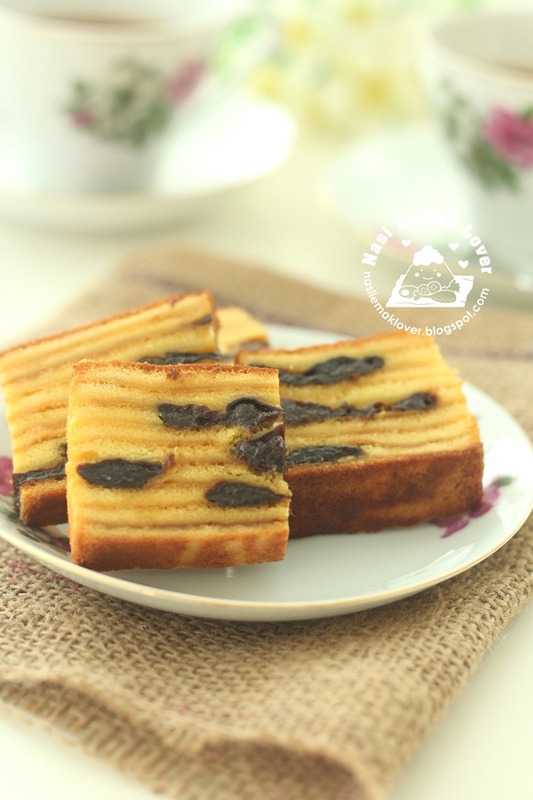 So it was a perfect time to bake a cake Lapis ( layers cake) which i hardly bake one since it requires many egg yolks. 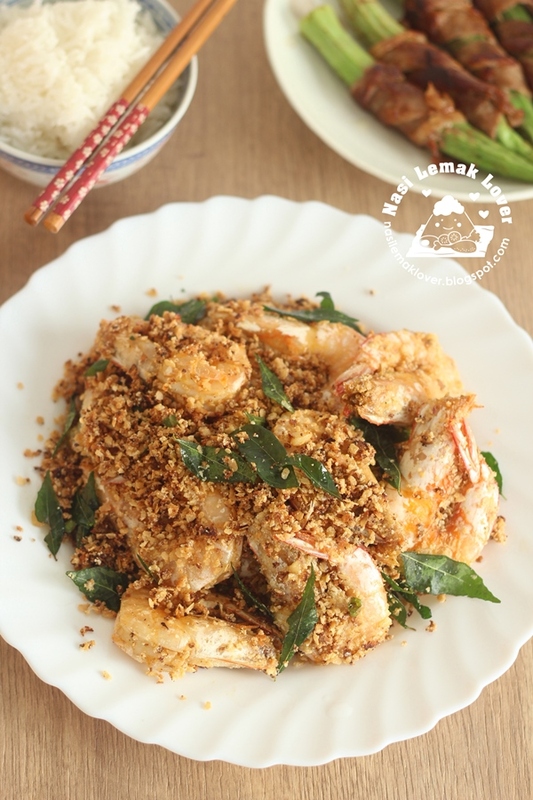 This dish is buttery, sweet and savory, and crunchy from the Nestum cereal and fried garlic, who can resist this dish, especially kids love it! 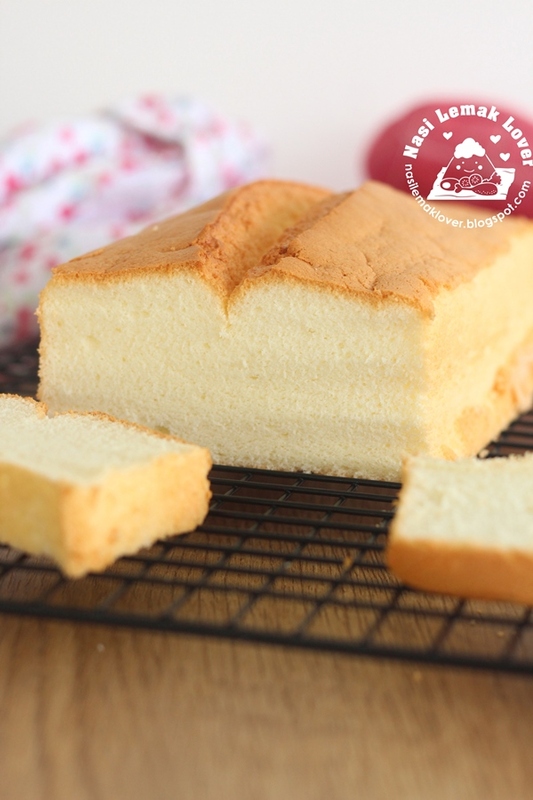 The challenge of making a chiffon cake using a normal bread loaf pan is how to minimize the shrinkage as there is no tube at the centre like normal chiffon cake pan, to support the cake batter to climb and rise. With my knowledge of baking chiffon cake and sponge cake, i used few methods to minimize the shrinkage of my new creation of baking chiffon cake in a bread loaf pan. After baked the very buttery and soft butter bread rolls, immediately i was thinking to use the same recipe to bake into this type of cute olive shape of Japanese sandwich bread buns. And this plain sandwich bun is versatile, you can just fill it with any of your preference filling. You can enjoy this bun during breakfast or serve during lunch. 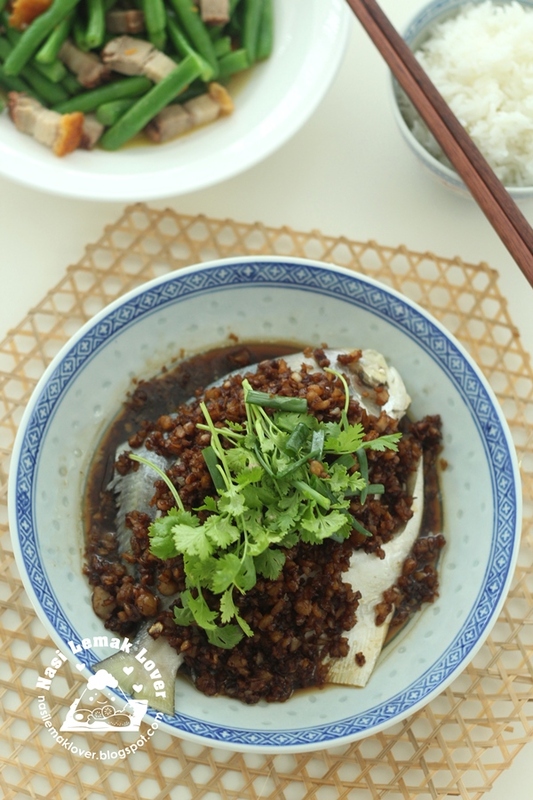 This is a simple Chinese home cooking dish, steamed fish topped with aromatic salty and sweet preserved radish (Hokkien we called as Chai Poh ), can have extra bowl of rice!